This week US Secretary of Education Arne Duncan suggested that the NCAA should ban teams from the NCAA Tournament that do not maintain a minimum graduation rate for their players. WHAT????? Don’t forget that this pinhead is the guy that was so effective as the CEO of the Chicago Public School System he was named to his current post by Obama. Forget the fact that the Chicago public schools are at the very bottom of the heap nationwide in graduation rates and standardized test scores. What it does rank at the top of the nation in is in-school violence, teen age pregnancy and dropouts. I guess he is just another “do as I say not as I do” guy in Washington. But beyond the fact that the speaker is totally incompetent to say anything about graduation rates, there are other factors over which the NCAA and individual colleges have little or no control. Prior to the NBA requiring that a player be 1 year out of school before applying for the NBA draft, those players (often between 20 and 40 a year) would go from high school directly into the pros. Now, those players go to college for 1 year and then on to the pros. They have little or no interest in college. It is a means to an end–to get a pro contract. We all know that the vast majority of these players will go to a basketball factory like Kentucky, Louisville, Kansas, etc. The result is that the best programs have the worst graduation rates. DAH!!!! In college football 5 guys that leave early have very little impact. There are 80+ on the team. However, if you have 2 guys that leave early out of a basketball roster, statistically it has much more impact. I do not believe that players should have to play 1 year in college before getting a chance to go pro. No one would complain about a brilliant chemist that leaves Podunk U for a multimillion dollar contract. Why put legal restraints on basketball players most of whom come from very poor backgrounds and are minority. I hope someone will challenge the rule. Is a year of college bad for a kid? Not necessarily. In a single year, the far left professors can give a non-political kid enough liberal babble that it should last him for a lifetime. But the people that are looking for intelligent life on other planets should try to find some in Washington DC first. Based on what I have seen coming out of there lately, there is very little intelligence and no common sense. The retired NFL players are pawns in the CBA negotiations. Media loves to turn everything that happens into a crisis and to point out victims of our free enterprise system. If there was an asteroid headed toward Earth the headline of the New York Times would read “Earth to end tomorrow. Women and children to suffer most.” Retired players have become a hot topic in the media because most NFL fans remember the men fondly that built the league to what it has become today. But in this case, there are real victims and they are the retired players. The salaries have come up dramatically in just the last few years. Players that were active in the 60’s through the 90’s were paid next to nothing compared to the salaries today. In the 1960’s a star might get 10K a season. By the 80’s a star might get 75K per season. To give you a feel for how much salaries have increased in recent years, here is a statistical comparison. In 2000, the average of team’s median salaries was $497,782.26 for the 31 teams in the league. By 2009 that number was $909,235.72 for the 32 teams. In just 9 seasons the average team median salaries nearly doubled. It increased 83% in just 10 seasons! The only reason that the fate of retired players is a topic of discussion now is the NFL and NFLPA trying to get public support during their negotiations. Both NFLPA Ex. Dir. DeMaurice Smith and NFL Commissioner Goodell are working hard to build public support for their organizations. Public support will be critical if the 2 sides can not come to an agreement because the Congress and the courts will undoubtedly become involved. Don’t let this magnanimity fool you. The NFL is simply looking for a PR bump and consider all money that goes to active or retired players as part of the “player pool.” They are willing do anything that would reduce the risk of giving huge amounts of cash to players that have never played a down in the league. The PR factor is critical going into negotiations for a new Collective Bargaining Agreement with the NFLPA. 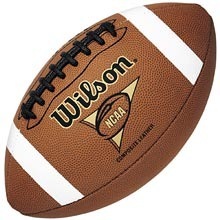 The league has some options that do not require the union’s agreement to continue football in 2011 and beyond. I will outline those on Monday on NFL News, Notes, and Rumors at NFLDraftDog.com. But all those options require public support. They also require actions that will keep the NFL owners under the radar of the federal courts. The union has a love-hate relationship with the retired players. When the retired players represented by Coach Ditka and others complain about the league not doing enough, the union agrees. However, the goals of those groups are not always similar. In February 09, a federal court ordered the NFLPA to pay 28.1M into the retired player fund. The union filed an appeal. The suit concerned the retired players percentage of money from EA Sports games. In June of 09, the two sides settled for a 26.25M payment. The problem between active and retired players is simple. The NFLPA represents the active players in negotiations with the owners for a new CBA. The active players are more concerned about maintaining their percentage of NFL revenue than about the retired players. The retired players have been forced to take the crumbs from the tables of both the owners and players. The quality health care and concern for injury now are much better for the players than it was even 5 years ago. Retired players are suffering from injuries and physical deterioration due to years of having even major injuries ignored by the coaching and training staffs. The retired players were often forced to play with injuries because they would lose their jobs if they refused to go back on the field. Hopefully, the new CBA will produce a fund that will better serve those that have build the game. What did we learn from this week in college football? Goodbye Notre Dame? Not so fast my friend. The fans are ready to move on to a new coach. It even looks like the team is ready for a new leader but neither of them matter. The only people that matter are in the administration of the school. Far too often pinhead administrators want to prove to the fans who is the boss. The Ohio State Athletic Director was hearing demands for Coach John Cooper to be fired in part because he was beaten like a nail by hammer Michigan. Instead, he gave Cooper a significant extension. The following year both the AD and Cooper were history. But the Buckeyes still had to pay off the contract. It was the gift that keeps on giving. Don’t bet the house that coach Weis is gone. ND doesn’t like paying ex-coaches. There is no question that the team needs a new direction and that needs to be more than just a change in the coaching staff. The two previous ND coaches won 58% of their games. Prior to the loss Saturday, Weiss had a winning percentage of 58. That can not be a coincidence. Based on the Sporting News top 25 recruits ND has a commitment from 1 and shot at 3 others. That will help but not much. ND is not going to be a BcS candidate for the big game any time soon. The problem is a fan base that has the expectation of a national championship run every year for a team that will at best be moderately reliant a couple of times a decade. There are other teams in the north that are now in the second tier of college powers. Unless Global Warming makes the deep south unbearable, colleges north of the Mason-Dixon line will be second class citizens for the foreseeable future. Michigan not Rodriguez friendly. Rodriguez is not very Michigan friendly either. Coach Rich Rodriguez has not made many friends at Michigan. He got off on the wrong foot by not committing the Blue history to memory. He further irritated Blue fans by turning his back on Michigan stars of the past. He also brought a new system that 2007 QB of the future Ryan Mallett wanted no part of. As a result, Mallett left the team for new digs in Arkansas. If you are winning Big 10 titles and BcS bowl games you can get away with more than a little arrogance. When you struggling to win enough games to get an invitation to the Tidy Bowl in Michawalka Minnesota you had better be sucking up to the power brokers. Rodriguez faced an extra challenge bringing his wide open O and 3-3-5 D to the ultra conservative Michigan program. He needed a run and shoot type QB similar to White that he had in WV. He also needed lighter more athletic O and D linemen. The cupboard was bare when he got there and there wasn’t any of the things that fit his system. But again due to arrogance, he refused to change his system and implemented it with what he had. When the Michigan HC is advertising for walk-ons it is not going to be a good year. After a 3-9 result in 2008 a 5-7 2009 is not good enough. The fans are screaming for his firing. But for the fans there is good news and bad news. The bad news is that the AD has said that Rodriguez will be back next year. The good news is that the AD will not be around then because he is retiring. I doubt that he will be fired this off season. But with a new AD coming in, it is not out of the question. He has tried to smooth things over with the key donors to the program but kissing up to contributors is not his style. He may last another year but will be gone for sure after that and may not be part of a trip to OSU next November. Best comment of the month: The Browns lack of offense rests primarily on a defective O line. So Will,let me get this straight once again Cleveland sports fans have coaches/gm’s, scouts, that can’t scout and review talent? WHAT is it going to take to get more then one sports team to play well in this city? The 90’s we finally had a good baseball team. The Browns had one playoff game with a not so great team. Now the Cavs are the talk of the NBA,( For being good not for having the league stop them from making trades because they were making a mockery of the league..good ole Ted Stepien),anyway back to the Browns and the Indians two “PRO “teams that can’t seem to be a good judge of talent to save themselves or the sanity of Cleveland sports teams. Thankfully the Cavs start playing soon…C’Mon LBJ AND SHAQ! P.S. Keep guns away from the rest of the team…for more info look up Delonte West. Thankfully we have Mo and other guards. One of the things I have never been able to figure out is why a new regime insists on cutting every player they did not pick. The Browns who are desperate for TE help just cut the Browns 2nd pick in the 08 draft Martin Rucker (4th round pick 111). He was a great prospect that never got a chance. I would bet that if he had played for Mangenous at NY, he would be a starter. I will have more on this issue below. What does the Williams’ case mean for the NFL’s drug policy? Not only the NFL is concerned about the ruling by the federal court. Both the NBA and MLB are studying the impact on their drug programs. In addition look for Congress to become involved again should another case invalidate the drug policy of baseball. Another issue is the concept of a league and the union agreeing to the ability to suspend players for other issues. DeMaurice Smith, Ex. Dir. of the NFLPA, said again last week that he wants to include the issue of discipline in the negotiations for the Collective Bargaining Agreement. He has said he wants an independent arbiter to decide those issues. Florida has several players including QB Tebow that have been sick this week. Don’t expect that to have much to do with the game. They still should win easily. The Jets have some explaining to do. Mangini was fined a reported $25K for not reporting the Favre injury. The team was also fined. The 49ers still have not signed their #1 choice WR Crabtree (Texas Tech). They have started to take money off the table equal to 2 of the game checks that would have been earned. The reality is that Crabtree is hurting himself more than the team. If he goes back into the draft, he will be at best a 2nd round pick because teams will not want to risk using a 1st round pick on a head case. He has branded himself that due to his stupidity. The Browns are exposed as the fraud they are. Mangini stuck with St. Clair at RT and no one by yours truly seemed to have a problem with it until last week. Now everybody has seen “the statue” watch DEs and OBs go around him like a traffic circle on their way to the QB. I feel sorry for both Quinn and the D because they are not getting any help from the O.
Mangini could have had a couple of NFL starters as UFAs but chose to go with his guys. I hope that Quinn has his health insurance paid up. He’s going to need it. I called SEIU to ask them to unionize the Big 10 football officials. I was hoping that they would go on strike so we could get some guys that know the rules and aren’t 100 years old and 50 lbs overweight. The Big 10 officials are the worst in college football. I told a semi-pro official once that if he moved the ball again before he took the 1st down measurement, … you will have to wait for the rest of the Almost Pro to see what happened. Crime: That is the beauty of Pro Football, time will definitely tell. The Bengals will go as far as their O takes them. Carson Palmer is hurt already with a high ankle sprain. The team says that he will be fine for game 1. Don’t believe it. The dreaded HAS is the kind of injury that will linger all year. Major League Baseball gets “BALCOed” right between the eyes The Federal court has ordered that the samples and test results be destroyed. Now that is a decision that would have meant a lot more to MLB 3 years ago! Bronco Owner Bowlen shoots his team in the leg. Now the 2nd best player on the team, WR Brandon Marshall, has been suspended until Sept. 6th. He is not happy and wants to be traded like QB Jay Cutler. The QB that they got for pro bowl Cutler looks like a gun shy rookie and the Bears are coming to Denver to play. Nice job Bowlen. Stay away from Marshall as a top 4 rounds list in your Fantasy Draft. WR Eddie Royal’s value is now higher. Dallas needs a new head coach to get to the next level WR Roy Williams was hurt on Thursday when he collided with a DB in a no pads half speed practice. X rays were negative on his shoulder. Nice job Coach Phillips. The yellow pages to find a Realtor are holding up the leg of your desk. Tampa Bay—Pick a quarterback; any quarterback Friday night the Bucs announced that Byron Leftwich would be the starter game 1. In my opinion this is the right pick but Tampa is a long way from being competitive. Stay tuned because this is likely to change any time. The next challenge for the America’s Cup is to be held in the Persian Gulf (???) All kinds of law suits are grinding through the courts. Was the water off Somalia not available? How stupid can they be to put yachts in the middle of the Gulf wars? Hopefully the yachts won’t get run over by an aircraft carrier or Iranian war ship. Jerry Jones and his JumboTron vs. the NFL The NFL has backed off of forcing JJ to move the world’s largest HDTV. The only thing bigger than the Tron is Jerry’s ego. Jer, next time hire an engineer. What do preseason games mean? Not much except PS Week 3. We will take a long look at week 3 results of the 1s vs 1s and what those games mean after we finish the NFC West. Crabtree faces 4 problems. First, it usually takes WRs 2 or 3 seasons to blossom. Second, very seldom is a college junior at all successful in their rookie season. Third WRs coming from the run and shoot type O like the one at TT struggle more than those from a more pro style program. And 4th, he has really pissed head coach Mike Singletary off and that is not likely to get him on the field any time soon.